Most products can be customised according to customer requirements. On demand special specification designs are made to order. High-performance Software Controlled Radio Preselector. 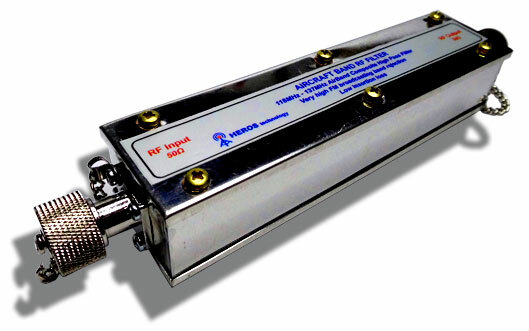 1.8MHz to 50MHz tunable Band-Pass Filter bank. Digital tuning. Suitable to work with any SDR or analogue radio. Remote control software runs under all Windows OS. Stand alone mode: By means of its front control knobs. - GUI. Graphic User Interface application console on PC. - CAT communication protocol for remote tuning. Tracking feature. - Supported by DDUtil v3. - TCP/IP. Over the Internet or local network. - I2C bus. From a dedicated external control system. Modular Software Controlled Radio preselector. 1.8MHz to 30MHz tunable Band-Pass Filter bank. Digital tuning. Intended to complement experimental projects..
- CAT communication protocol for remote tuning. - I2C bus. From PowerSDR application. Optional control module. 144MHz-146MHz to 28MHz-30MHz VHF down converter. 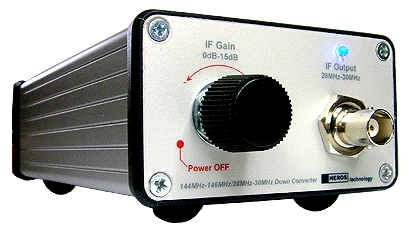 From 300kHz to 500MHz range of eleven Pre-Filtered, Very Low Noise, High IP3 preamplifiers. 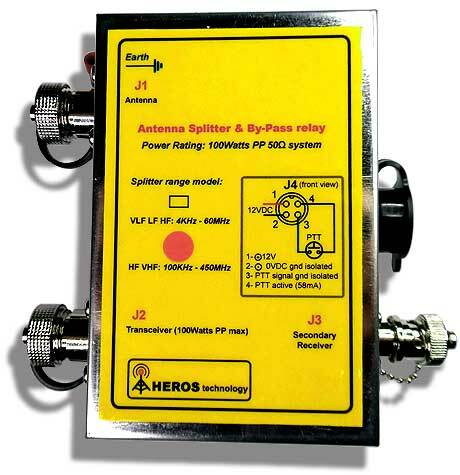 For general purpose use such as Antenna signal booster, Instrumentation and IF Buffer for SDR radios applications. Featuring On-Off / By-pass function. Variable 0dB to 71dB step attenuator Ladder configuration. 1dB step. Generak Purpose Low Pass Filters range. Thirty five frequencies available from 100kHz up to 500MHz. 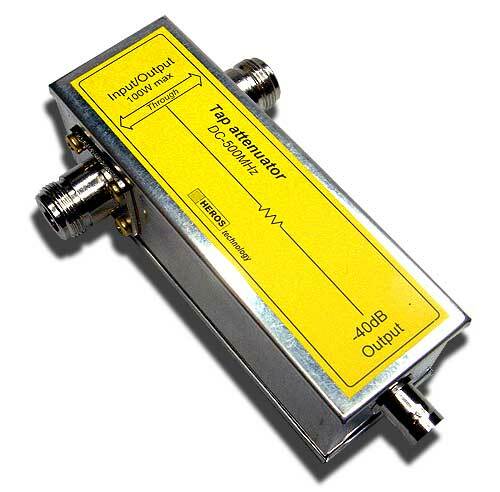 40dB Tab attenuator. 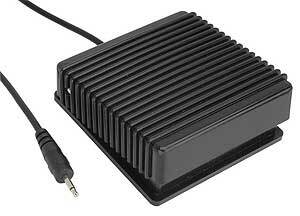 100 Watts power rating. Panoramic Spectrum for transceivers & General measurements tool. General purpose impedance measurement bridge. Cost –effective precise signal generator and reference signal level for calibration and alignment purposes up to 3 GHz. 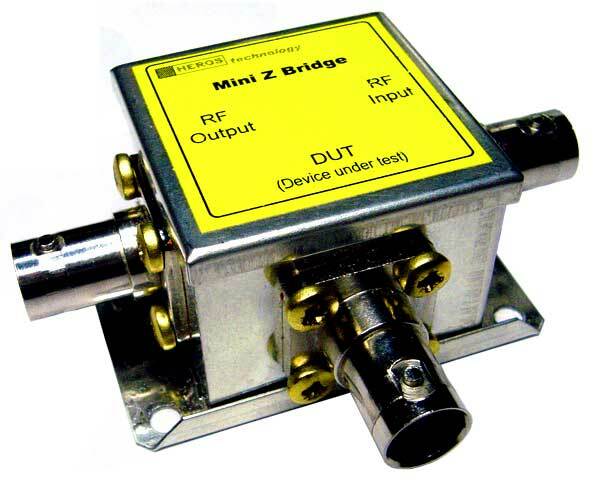 1MHz-100kHz-10kHz composite Combo-Pattern Generator up to 3 GHz and signal reference level. 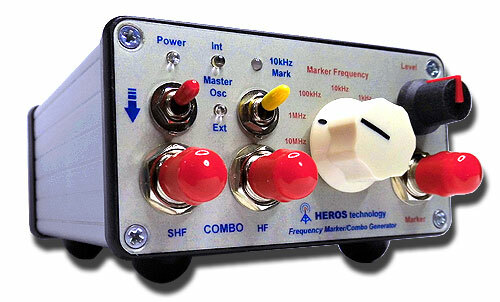 10MHz-1MHz-100kHz-10kHz-1kHz-100Hz-10Hz-1Hz Marker Generator. Variable output level. Reference clock: Internal from a 10MHz TCXO master oscillator. 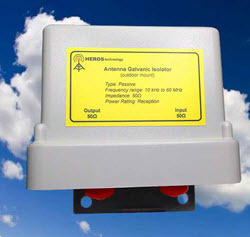 External from a reference source such as GPS-locked frequency clock generator. 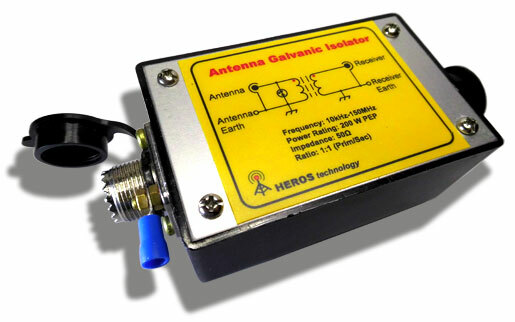 10kHz to 150MHz LF-HF-VHF Antenna Galvanic Isolator. Removes local pick-up noise by the antenna feedline. Highly recommended to work with SDR radios. 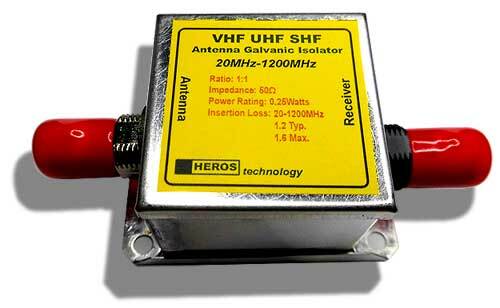 20MHz to 1.3GHz VHF-UHF-SHF Antenna Galvanic Isolator. Specifically recommended to work with SDR radios. 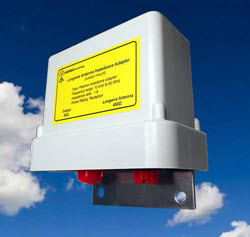 Impedance Match adapter for Longwire Antenna . Suitable for SDR and analogue radios. Antenna Feed Line Noise Cancel. Antenna / Signal switching. Station automation. 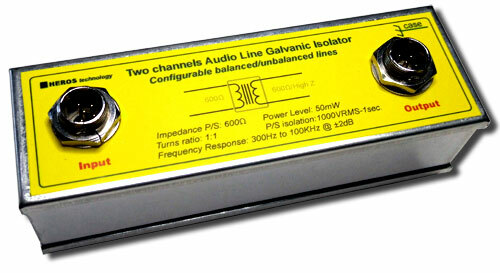 General purpose Dual Port, By-Pass relay. 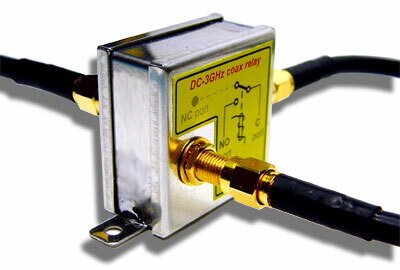 DC-1300MHz, 100 Watts RF power rating. 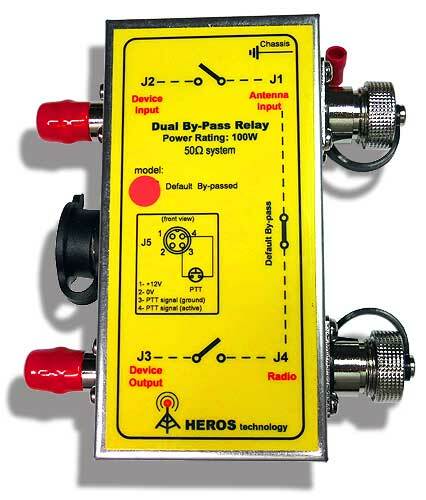 Simultaneous reception on any transceiver and any receiver sharing the same antenna. If a SDR radio is used as secondary receiver you get Panoramic Spectrum reception/Transmission monitoring feature. On transmission switch-over embeded protection circuitry avoids overloading the secondary receiver and internal components of the unit. It brings new life to any older radio by adding advanced SDR features. 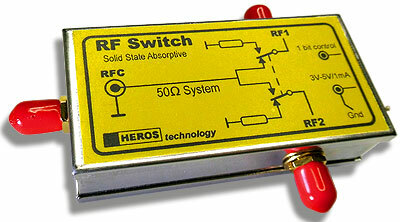 Solid State RF Relay. 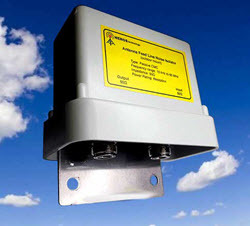 DC-3GHz. No Relays, No mechanical parts, No moving parts. Very High Isolation port to port >100dB. Form C. SPDT Absorptive configuration. To be inserted between the antenna and the transceiver. No filter switching system is needed. No relays. Range of general purpouse Low Pass Filters. 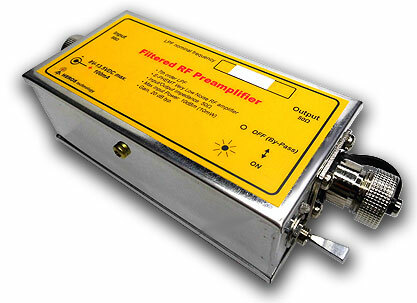 Thirty five frequencies available.From 300kHz up to 500MHz. 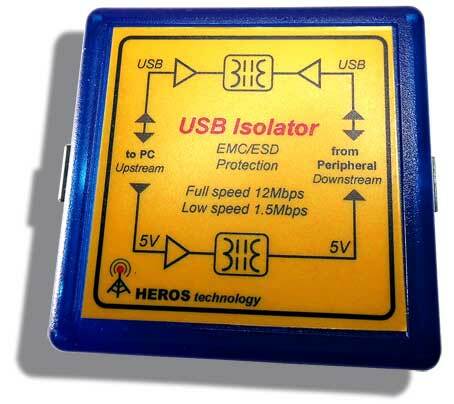 USB Galvanic Digital Isolator for SDR radios. Remove noise coming from comuter. Suitable for SDR radios, ultrasonic applications and audio systems. Rejects pick-up noise from the antenna feedline. Remove antenna feedline ground loops. Robust momentary action foot operated switch with non slip base. • Standard 3.5mm jack plug. Other connectors available, Please ask.